Shakunetsu no Kimono: Arizona Matsuri is Almost Here! Arizona Matsuri is Almost Here! Woohoo! Arizona Matsuri is coming! My taiko group is about to start rehearsing for our gig at the 33rd annual Japanese festival in Phoenix on February 25-26! We are playing on the ASU stage at 11:00am on Saturday, so come to Phoenix and see one of the best Japanese festivals in the USA! It's a great festival if you are shopping for kimono items- every year I find something amazing- obi, obi jime, happi coat, geta, zori, yukata, kimono, and more. Last year I found three summer weave obi in silk and polyester mesh. 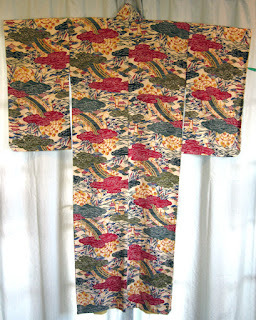 A few years ago I found one of my favorite kimono there- a lovely bingata patterned komon with elegantly long sleeves. The weather is usually fabulous (Sometimes warm! ), the entertainment and food is always amazing, and we now have a shady sake and beer garden! 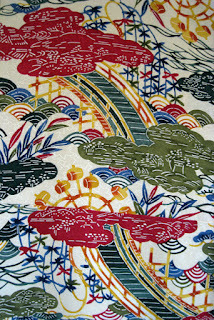 Sometime in the next few weeks, I will be looking into what kimono or yukata I will be wearing on Sunday- I hope to post something here.